Did you know a safe place to store one’s belongings is the #1 needed service identified by people experiencing homelessness in Bellingham? Safe Storage Bellingham, a project by local Non Profit BasicsPNW headed by Carmen Gilmore and Brittany Jones, is working to provide a place for people who are homeless to safely store their belongings. Access to Safe Storage's specially-designed outdoor lockers will eliminate barriers towards finding permanent housing and transitioning off the streets. The Safe Storage committee is a combination of folks who are housed as well as those currently un-housed. I sat in on several of the team meetings and was struck by the inclusiveness I experienced. Those who often don’t get a voice were welcomed, respected and an integral part of the team. 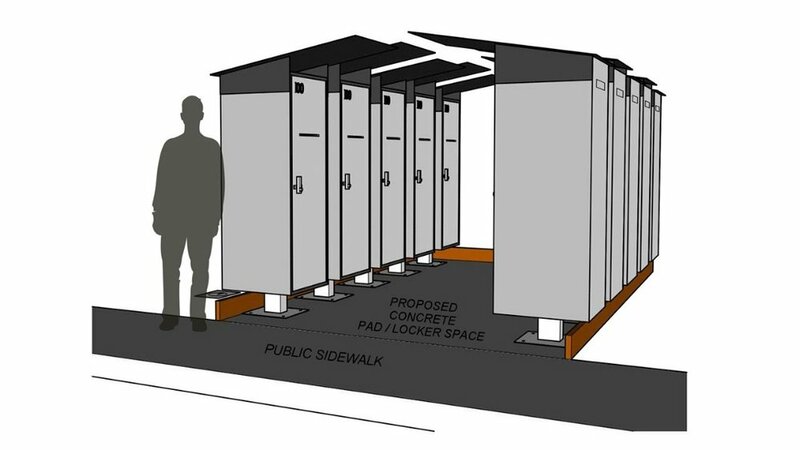 Together they are working on a pilot program to bring these lockers into Bellingham by the end of 2018. If you would like to learn more about Safe Storage and help fund the pilot project visit the Go Fund Me page at www.gofundme.com/safestoragepnw. 2roofs Real Estate team also supports Safe Storage Bellingham. The way it works is when you are in the market to buy or sell a home (or know someone who is) simply choose 2roofs as your Realtor and let us know you would like us to donate to Safe Storage. All of our donations come from our own Realtor Fee and are at no additional cost. Sean Hall is cofounder of 2roofs Real Estate Team at Windermere. 2roofs is a Top 1% Realtor who donates a portion of their fee from every sale to a partner non-profit and connects their client with the story through a hardcover, keepsake book. Learn more at 2roofs.com.